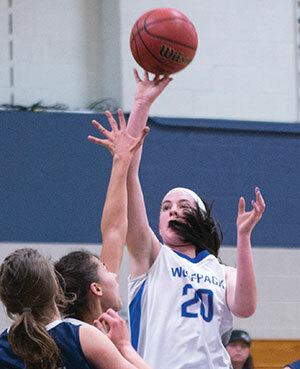 Ellen Hayden is the top returning scorer for the WolfPack women's basketball team. The Madison College women’s basketball team has only two returning players, the fewest since Jessica Pelzel’s first year as coach back in 2006-07. That year, the team had one sophomore and little depth with just eight players on the roster. Still, the small squad managed to avoid a losing season, finishing 13-12. Like 2006-07, this year’s team will rely on its younger players as it strives to improve upon last year’s 15-17 record – only the second losing season in Pelzel’s eight years as coach. Twelve freshmen join returning starters Ellyn Hayden and Chelsey Schulenburg. Hayden, a 6-foot tall post player, scored seven points a game and had more than six rebounds a game last year. Schulenburg, 5-6 guard, scored 6.5 points a game and had 77 assists last year. 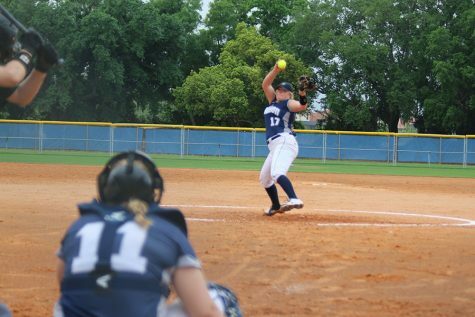 Madison College, now 1-2 overall, has seen contributions from a number of its freshmen in its first three games. Guard Gabrielle Hood has led the way, scoring 18 points in the first game and 13 points in the team’s most recent game. Nicole Hoffmann, Kelly Calhoun and Meagan Mazur have each scored in double figures at least once this season as well. What do you see as your team’s greatest strength this year and why? Pelzel: Ellyn Hayden. She brings her experience having played these teams last year she has knowledge of what to expect when we go on the road. I think Megan Petty will bring a whole new dimension to our team when she joins us in January because she is very vocal and a great leader. Pelzel: Our incoming players will have a huge impact on our success. I am excited about all our players – there isn’t one I am more excited about, just the whole class and what potential they have. Our freshmen have a huge upside and I am excited to see what we accomplish with them. You have only two returning players this year, what challenges does that present? How has it impacted things? Pelzel: It makes us a very young team and will challenge us in the early part of the season, but I think our second year players will do a great job of bringing the freshman along quickly. But the challenges will be many as we learn to work together and adjust to the college level. Pelzel: Making free throws and not turning over the ball. If we can do those things well we should have a good season. Pelzel: We haven’t set goals yet but will very soon. 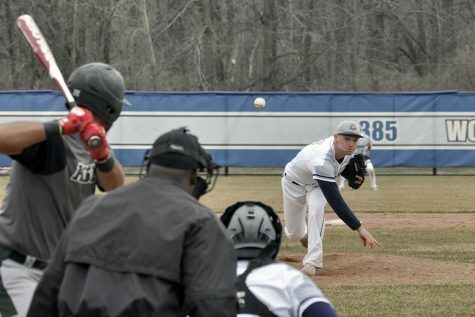 Pelzel: It will be the same as usual – Rock Valley, College of DuPage and Joliet. 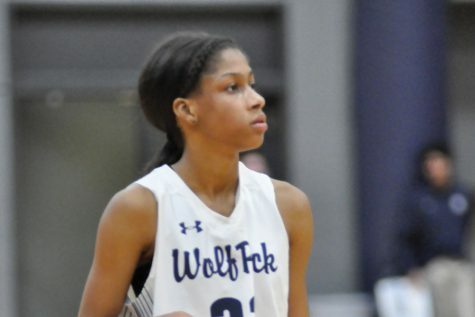 The WolfPack’s next home game will be Dec. 3 at 5 p.m. against Elgin Community College. It will be the annual parent’s night game. Other schedule highlights include: Youth Night, which will be held on Friday, Dec. 13, at 6 p.m. against College of Lake County; and Jam the Gym, which will be held on Saturday, Feb. 8, at 5 p.m. against Milwaukee Area Technical College.